NO MATTER WHAT PATH YOU TAKE on your journey through the Magnolia State — north via Highway 61 in search of the Blues, south through Hill Country via I-55 en route to Oxford, or further south yet via Highway 49 toward the Gulf — countless back road detours and pit stops beg you to pull off the main roads in search of the authentic Mississippi experience. Mississippi’s beloved Willie Morris once called this landscape “one of those sudden magic places of America.” And as soon as you get right into the heart of it, you’ll understand exactly why. It’s a place unlike any other in the country — of wide porches and lazy afternoons, black-eyed peas and crawfish boils, kudzu and shotgun shacks, poetry and song and story. 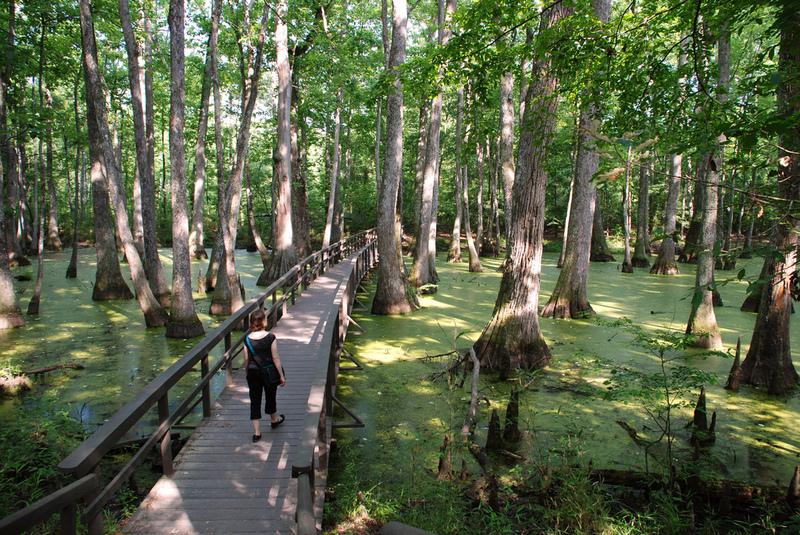 Here’s a handful of stops you’ll definitely want to make as you amble throughout Mississippi. Y’all, just remember to take your sweet time, and savor every last bite. Where the Blues Highway (Route 61) intersects US Route 49 may possibly be one of America’s most famous crossroads. As legend has it, bluesman Robert Johnson is said to have sold his soul to the devil at this very spot, on this very soil. You’ll know you’re in the right place by its iconic three-guitar signpost. Pull over, get out of the car, and see if you can’t make out just a whisper of the ghost of Johnson’s slide guitar. Just be careful, OK? It is right in the middle of two very busy roads. One of the best things about any road trip? The endless opportunities to get out of the car and back into nature. Detour over to the Natchez Trace Parkway before you get too close to the next city. The historic travel route stretches 444 miles, through three states, from Natchez, MS, to Nashville, TN. Originally blazed by foraging Native Americans, the Trace was used by early European and American explorers and traders (known as “Kaintucks”) in the 18th and early 19th centuries. Make sure to get out and experience the park up-close for a genuine taste of the “Old Trace.” A prehistoric mound site, historic structures and numerous hiking trails abound on the section between Jackson and Natchez. Stop off at Yazoo City — birthplace of Willie Morris, deep in the kudzu-covered hills north of Jackson — and you might just come face-to-face with a local legend lurking in the city’s historic Glenwood Cemetery. Surrounded by chain links, “The Witch’s Grave” sits nearby Morris’, who made the story famous in his book Good Old Boy. Go in on your own, if you dare. Or take a guided tour and learn more about local lore that says the witch caused the great fire of 1904. If you happen to stop off at a gas station on the way over, grab a moon pie — it’s tradition to leave one on Morris’ grave (they’re his favorite) before hightailing it out of there. 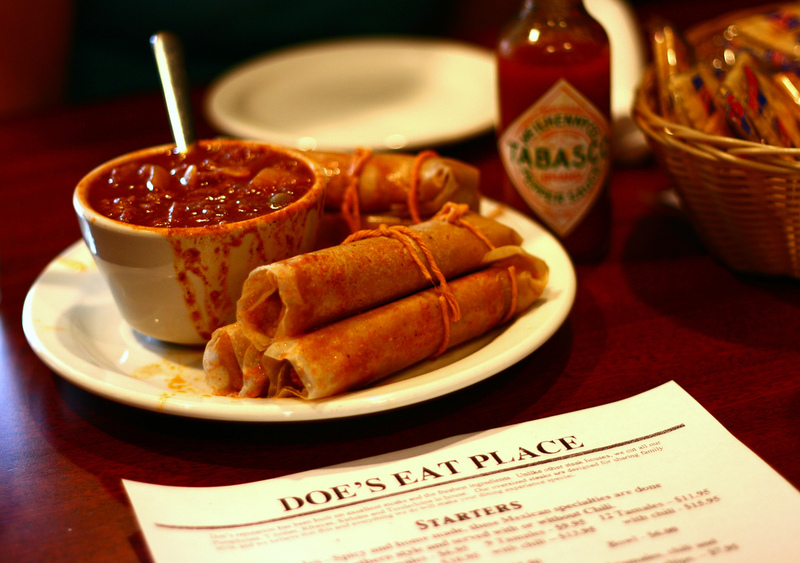 You might have already scarfed down a few tamales at Ground Zero or one of the other Delta Hot Tamale Trail outposts in Clarksdale (Hick’s Famous, Ranchero, or Abe’s). But if you’ve got an insatiable appetite for the masa-encased pork or beef delicacy, you’ve pretty much found yourself in heaven on earth. No matter what you believe about how the tamale originally made its way to the Southern US (some say through migrant Mexican laborers in the early 20th century, others say the connection goes back to the US-Mexican War), these conveniently portable and easily devourable little packets of goodness are here to stay. Start in Clarksdale if you’re already there, or hop on the Trail as far north as Corinth or Tunica and weave your way south to Doris’ in D’Iberville, right on the Gulf. On your way south toward Jackson, take a short detour into the deep woods just off Highway 49 in Flora. The prehistoric stone giants you’ll find once you arrive are part of an ancient log jam thought to have been deposited by river from halfway across the continent. Already one thousand years old when they first fell, the petrified trees have been preserved by nature for some 36 million years. Take a self-guided walking tour of the forest, then finish up with a visit to the Earth Science Museum and gift shop — it’s chock-full of natural history, maps, and geological oddities. 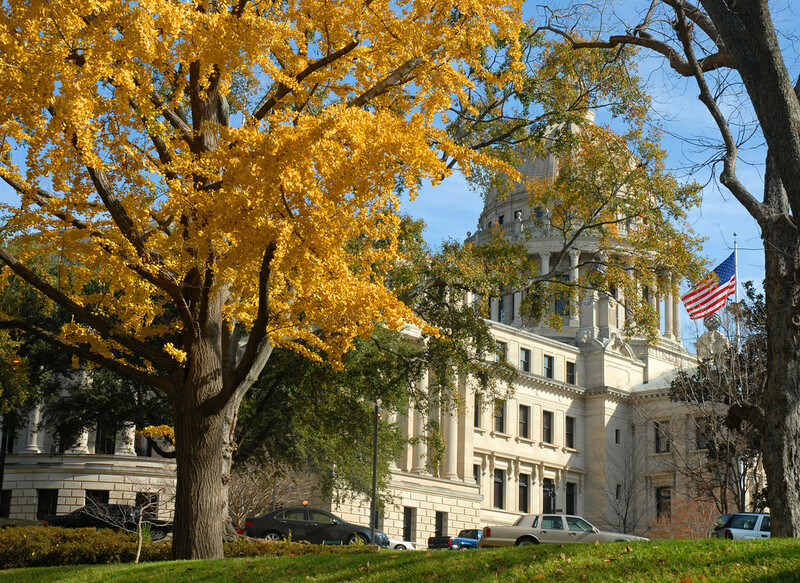 On the National Register of Historic Places since 1969, the Beaux-Arts style state Capitol building has been the home of Mississippi State Legislature since 1903. The third Capitol building since the first was built in 1822 — the second “Old Capitol” was finished in 1839, and is now a museum — offers free guided tours (weekdays, 9:30am and 11am, 1pm and 2:30pm). During legislative sessions, visitors can view the Senate and House of Representatives from their galleries. When you’re finished, hop on over to Two Sisters — a Jackson institution in a historic home near the Capitol. But go early. The kitchen closes at 2pm, and you don’t want to leave town without a bite of their award-winning fried chicken, catfish, country fried steak, or sweet tea and homemade dessert. Located in King’s hometown, the museum is dedicated to telling the story of America’s only truly indigenous music through the lens of B.B.’s 60-plus-year career. An extensive collection of personal papers and objects from his life and work are part of the museum’s permanent collection in addition to multimedia exhibits and state of the art films. There’s even a fully restored cotton gin where King once worked in the 1940s, and a guitar studio where visitors can play instruments just like B.B.’s. Check the center’s rotating calendar of special events, workshops, and blues-inspired art shows and concerts before you visit. Traversing the Devil’s Crossroads will really take it out of you. 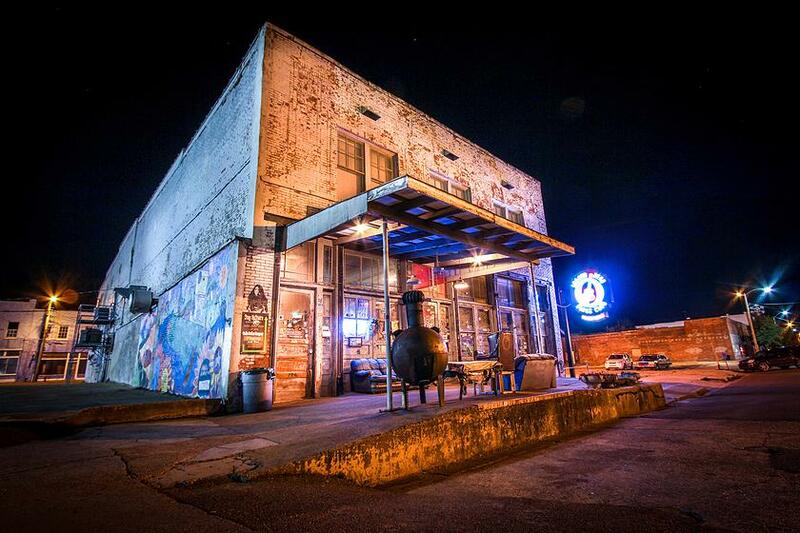 Reward yourself with live blues, a big ol’ plate of Delta staples, and a cozy little place to hang your hat for the night. Owner Morgan Freeman’s Ground Zero — located downtown, next door to the Delta Blues Museum — turns out live tunes every Wednesday through Saturday, year round. Hungry? Find a spot at the counter and order a plate lunch or dinner (I’m talking catfish, slow-cooked pork shoulder, hot tamales, greens, okra, hushpuppies, and black-eyed peas), then head over to Hopson Plantation (just three miles from the crossroads) and stumble into your own authentic shotgun shack. Before you get totally comfy: Southern superstition holds that spirits are attracted to the shacks because they can easily pass straight through them. Don’t say we didn’t warn you. What would a road trip be without some art? And I don’t mean the kind you’ll find for sale on the roadside, or at a truck stop along your route. I mean: real, fine, art. Like the kind you’ll find at the Ohr O’Keefe (also know as the “OOMA”) along the Gulf Coast, in Biloxi. Named in part for its permanent collection of master “Mad Potter” George E. Ohr’s work, the museum’s distinctive architecture was designed by Frank Gehry to “dance” with the surrounding landscape — in particular, the oak trees. Even if you don’t take one step inside, the sprawling campus’ pods, pavilions, and main building itself are more than worth the side trip. Going straight to the source can be one of the best ways to learn about someone. Where were they born? What was their childhood home like? What’s their parents’ story? What were their favorite, most beloved possessions? 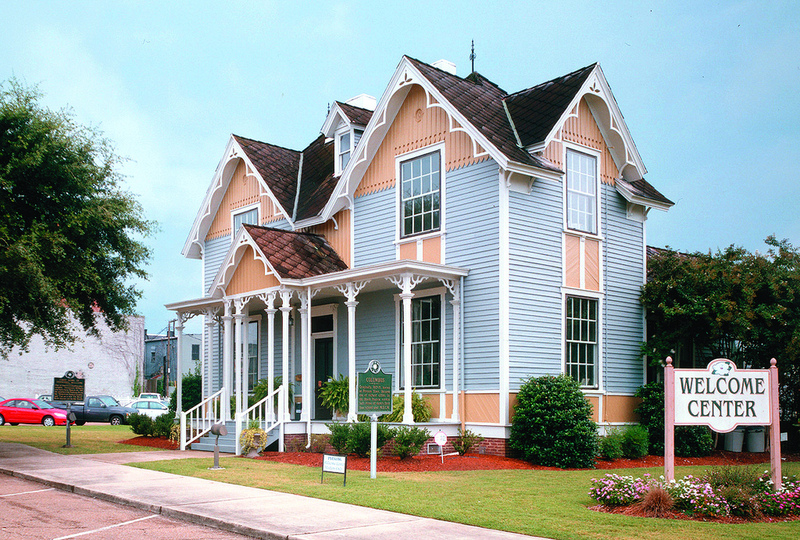 Stepping into Tennessee Williams’ first childhood home is like stepping right back into the celebrated playwright’s past. Born on March 26, 1911, in Columbus, Williams spent his first three years in what is now the fully restored Tennessee Williams Welcome Center — it’s on the National Register of Historic Places and a Literary Landmark. As you amble from room to room on the home’s creaky wooden floors, you’ll get a real sense of who Williams and his family were and how they lived. His momma Edwina — whom Williams used as a model for many of his characters — was known as one of the “the prettiest girls in Mississippi.” And one of his favorite possessions? A set of teacups his family had made especially for men, so that their perfectly groomed mustaches wouldn’t get messed up whilst sipping their English Breakfast. Originally a cattle ranch in the 1970s, more than 260 animals now call this 210-acre buffalo park and zoo home. Guided tours will get you up close and personal with the park’s menagerie of buffalo, zebras, giraffes (at 19 feet, “Tall Boy” the giraffe is one of the tallest in the States), and many other animals. There’s also a petting zoo, reptile exhibit, and pony rides and horse trail tours if you’re into all things equine. If you’re traveling with kids, this is the place to stop for an afternoon of animal education, wide open spaces, and wild adventure. Pay your respects to one of America’s literary greats on your drive north through Oxford. William Faulkner, whose stories about the fictionalized Yoknapatawpha County won him the Nobel Prize, rests peacefully in the old section (formerly, “Saint Peter”) of the Oxford Memorial Cemetery. Even if you’re not an avid Faulknerphile, it’s hard to pass up an opportunity to participate in one of the city’s more colorful traditions — it’s standard to drink a swig of bourbon out of a bottle you bring, then leave the rest on William’s modest marker as a gift. Tip: Maker’s Mark will do, but Jack Daniel’s was his favorite. 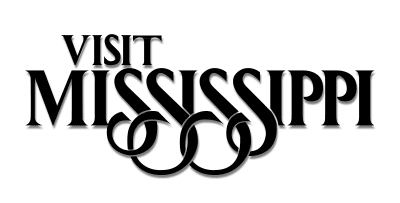 This post is proudly produced in partnership with Visit Mississippi.